Here are some of the better books among the 200+ that I have read over the years, so if you want to learn the basics & foundations of trading by yourself, these might come in handy. However, do note that trading for real is very different from textbook examples. If you are new to trading, you will realise the difference once you start trading. If you are serious about learning this skill on your own, make sure you finish all these books before you start putting your real money into the market. That was what I did when I started my trading career. This is just the bare minimum, and anything less is likely to end in failure. Even if you finish reading all these books, it is unlikely that you will be able to trade well. There are many things which cannot be learnt from books, such as “market feel”, behavioral analysis, applied price action, and real trading psychology. These can only be learnt by paying “tuition fees” to the market (paper trading or demo trading is a waste of time), or learning from a real trader who has mastered these skills and get them to guide you. Investing in education is a small price to pay to help you avoid the costly mistakes in trading. The Elliot Wave Principle – A. J. Frost, Robert R. Prechter Jr. Note: I will continue to add to this list as I discover and read more good books. Feel free to recommend any books not on this list! The list of books you read is very impressive! I probably have 3-4 books in your list, but didn’t even start or finished reading. Thanks for the idea that I need to go back and read again. You’re welcome! 😀 Haven’t had time to update the list in a while, but I still read at least 1 book a week, though not always on trading or investing. 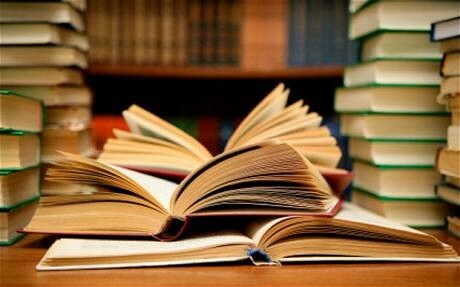 However, do not forget that “reading gives you knowledge, but practical application gives you experience!” Good luck! what is the smallest subset of books that lead to a valid strategy? in the secrets pdf you tell us to forget about indicators but many books are about this exactly. should we toss these out the window as well? Hi Joe, there is no answer to your first question, because books provide you knowledge and ideas, but it is up to you to use your experience to piece these tools together to form a valid strategy. In my private forum, I have narrowed down this list to a handful of my favourite books. That is my personal opinion, after learning all the different indicators, that most are not necessary, and many professionals also choose not to use them. Books and courses tend to gravitate towards indicators, because they are easy to explain and teach, and generally sell better to retail traders.